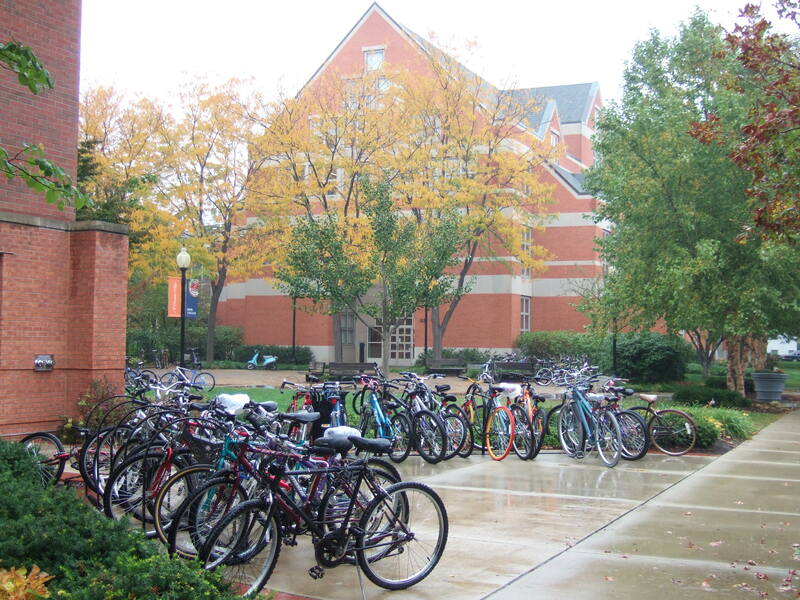 This is one of the bicycle parking areas at the institution of higher learning that is located in our downtown. 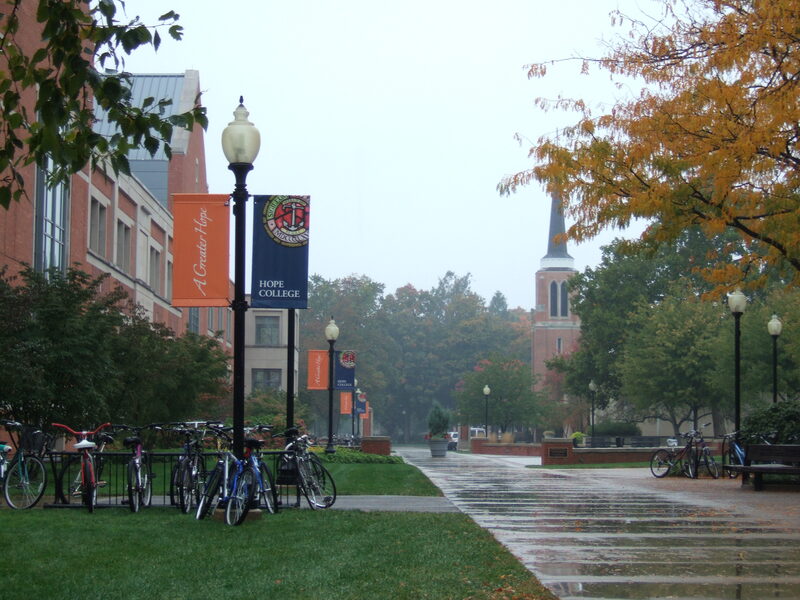 Driving around this rainy morning on the way home from the farmers’ market, I was floored by how many bikes I saw on campus. I count fifty bikes in this parking area alone (using this and the other photos I took), and there are probably seven or ten similar lots within a several-block radius. There’s a movement here that I’m not sure we’ve noticed yet as a city.